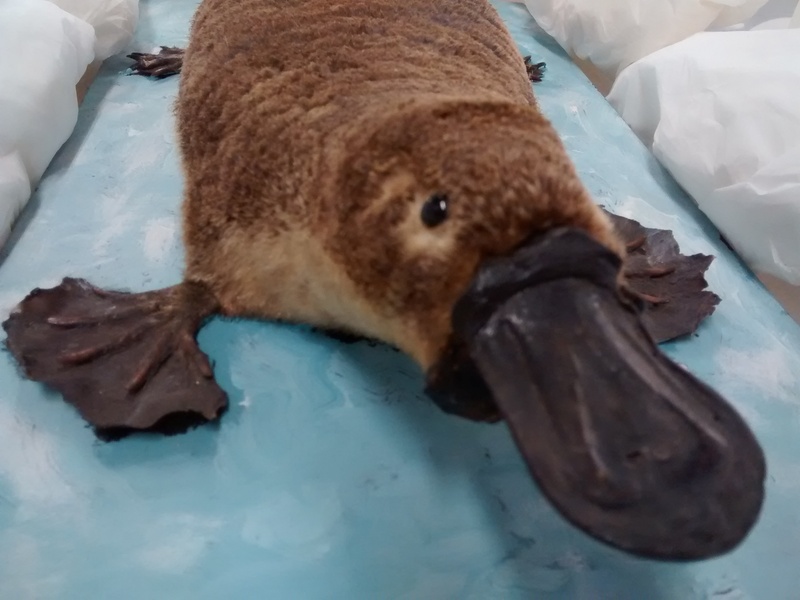 The Platypus belongs to a group of mammals called Monotremes found only in Australia and New Guinea. Monotremes differ from other mammals in that they lay shell-covered eggs that are incubated and hatched outside the body. In life they swim and feed in freshwater streams and ponds. This specimen was purchased to represent the Monotremes in a display called 'A Survey of the Animal Kingdom' developed during the 1920s-30s.